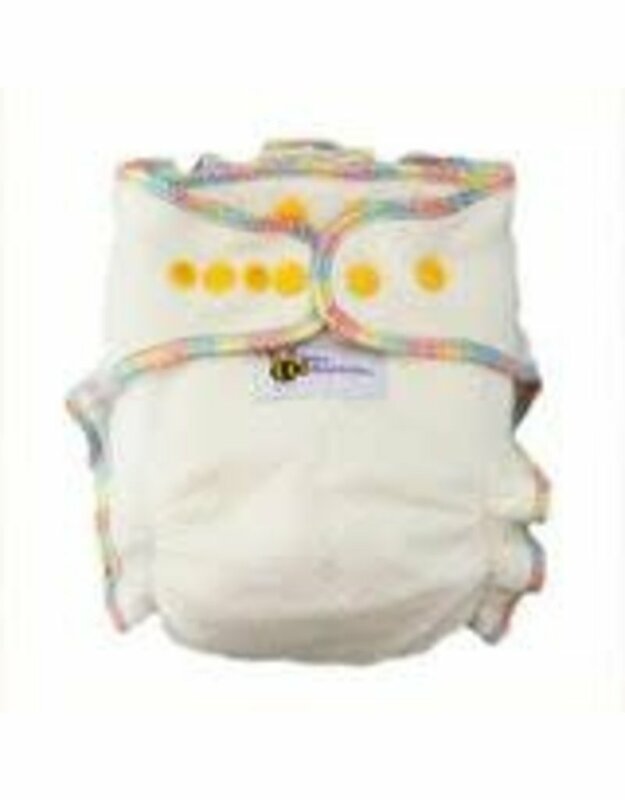 Baby BeeHinds Bamboo Doublers are made to be used as an insert in your favorite pocket diaper, or as a doubler to your fitted diapers whenever an extra layer of absorbency is needed. The same ultra absorbent bamboo blend as our Bamboo Fitteds. 60% Bamboo Viscose, 30% Certified Organic Cotton, 10% Polyester Remove any solid waste from your Baby BeeHinds Bamboo Inserts, then place in a diaper pail or wet bag until laundry day. For best results we recommend washing your Baby BeeHinds every second day, and no less frequently than every third day. 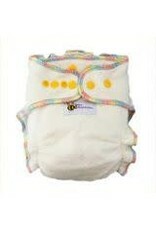 - Place diapers in machine and set machine's water level to the highest level possible. - Run 1 cold rinse cycle. - Wash on a long or heavy duty wash cycle in warm or hot water (for best clean) with cloth diaper safe detergent, or 1/2 the manufacturer's suggested amount of enzyme-free, additive-free detergent. - An extra rinse cycle may be necessary, and is recommended if you have a front-loading machine. - Hang dry or tumble dry low-medium heat.